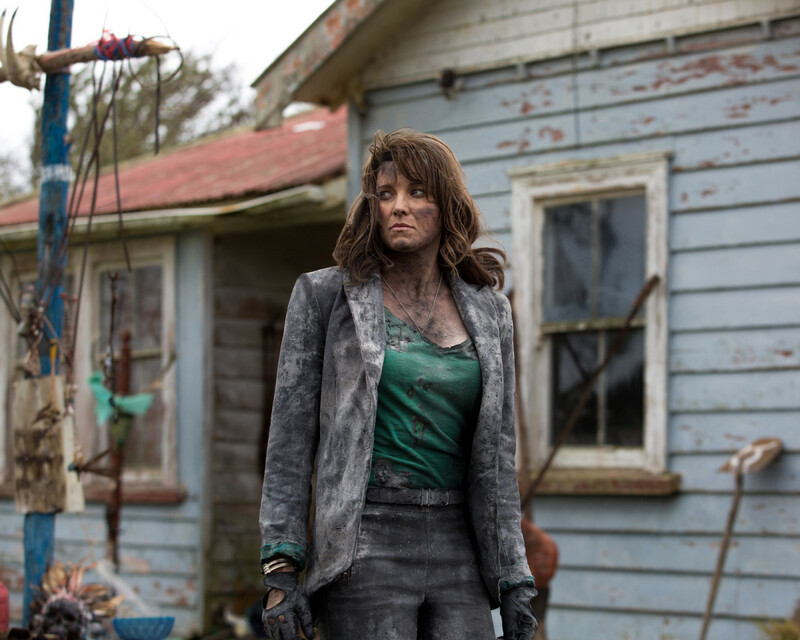 Lucy Lawless as Ruby Knowby in Starz's "Ash vs. Evil Dead." Lawless plays Ruby Knowby, a mysterious woman who believes Ash Williams—played by Bruce Campbell—caused the latest evil dead plague that crops up in the series. “Ash vs Evil Dead” premieres Oct. 31 on Starz. The 10-episode first season of the half-hour series this fall that continues Ash’s necromantic tale from “The Evil Dead” (1981), “Evil Dead II” (1987) and “Army of Darkness” (1992). The film franchise’s producers, Sam Raimi, Rob Tapert and Campbell, return for the series. Campbell also reprises his role as Ash Williams, who has aged into a “lothario … who has spent that last 30 years avoiding responsibility, maturity and the terrors of the Evil Dead,” according to Starz. Ash can’t avoid his destiny any longer after a Deadite outbreak threatens mankind. Other cast members include Jill Marie Jones as Amanda Fisher, a disgraced Michigan State Trooper who believes Ash killed her partner; Ray Santiago as Pablo Simon Bolivar, an idealistic immigrant and Ash’s loyal sidekick; and Dana DeLorenzo, who plays Kelly Maxwell, a wild child trying to outrun her past. Lawless starred in “Xena: Warrior Princess,” the “Spartacus” series on Starz and has appeared in WGN America’s “Salem” and “Marvel’s Agents of S.H.I.E.L.D.” She currently can be seen in the excellent Aussie miniseries “The Code” on Netflix. According to the Twitter feeds of various folks at the Television Critics Association summer tour in Beverly Hills on Friday, Lawless said the “Evil Dead” set is a lot of fun. She also teased her costar. “[Bruce] wants me around because I laugh at his jokes,” The New Zealand star said, according to the Tweets.